We offer three unique and delicious sauces for you to pour, dip, or mix with your favourite pasta, veggies, protein, or really, whatever your heart (and belly) desire! Made from cashews, and a variety of other healthy and nutrient- dense ingredients, these sauces are a smart and delicious alternative to traditional cream sauces. 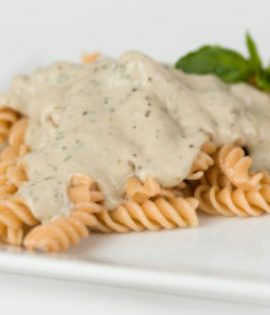 Finally, some creamy sauces that you can feel good about eating, and good after eating too!